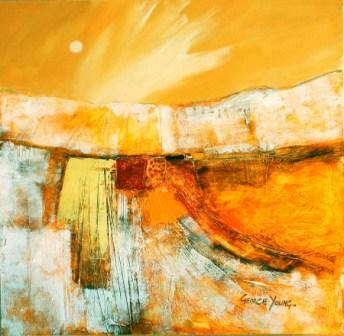 Right now we are waiting for new Georgie YOUNG Art to arrive at the gallery. In the meantime, here is a selection of the artist's archived art work which has featured at Red Rag Art Gallery. 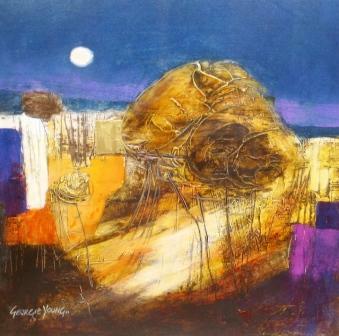 If you wish to register to receive updates and alerts when new art work from Georgie YOUNG arrives select this link. 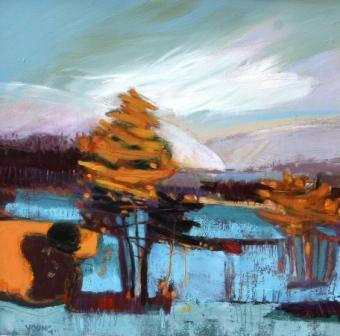 Georgie Young is a graduate of the Glasgow School of Artand paints mainly contemporary Scottish landscapes. 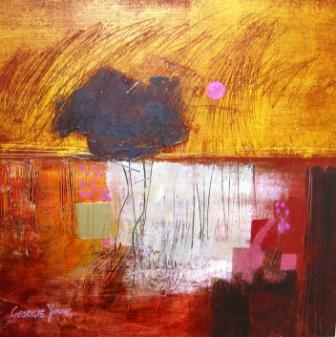 Georgie aims to evoke a feeling and capture a sense of place in her paintings. She seeks to create atmosphere or an unexpected detail rather than reproduce a direct likeness. 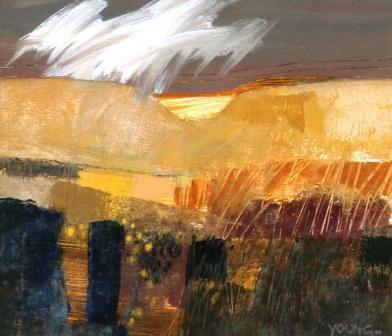 Georgie Young contemporary paintings are a product of observation, interpretation and improvisation. The original observation is processed, re-examined and the essence abstracted. Young's paintings attempt to reveal the unexpected beauty of un-remarked places, the interplay of light, time, weather and season on everyday landscapes, and the presence and influence of the human on the physical environment. 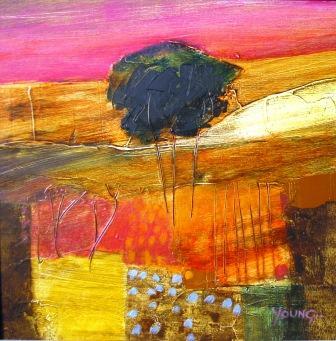 Georgie Young paints primarily in acrylic using a bold palette and rich textures. 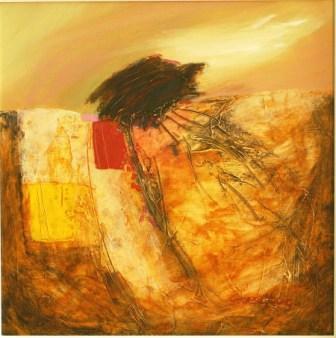 In addition to Red Rag Scottish Art Gallery Georgie Young art work has been exhibited at other leading Scottish Art Galleries. 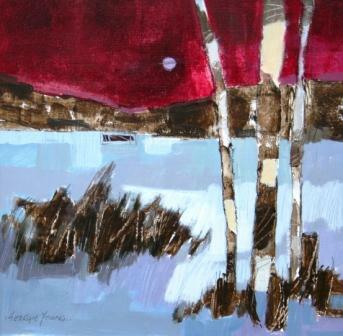 Each painting at Red Rag is sourced from the Georgie Young artist studio and like all Red Rag Scottish art and Contemporary art it can be shipped worldwide.